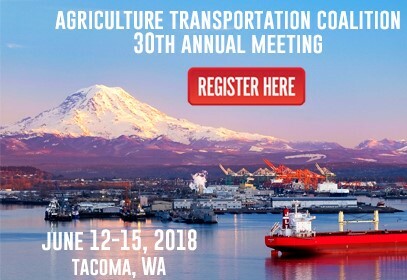 The Northwest Seaport Alliance is excited to welcome the Agriculture Transportation Coalition (AgTC) Annual Meeting to Tacoma June 12-15. AgTC is the principal voice of agriculture exporters in U.S. transportation policy. The meeting will be the largest annual gathering of agriculture product shippers who source and deliver to foreign markets. More than 400 people are expected to attend, representing some of the largest agricultural exporters in the country. Companies include local exporters like Anderson Hay & Grain and Lamb Weston as well as national shippers like Tyson and Cargill. The event is a unique opportunity to hear from industry leaders about the key issues facing the agriculture and forest products community today. It is also a great opportunity to network with other industry colleagues to discuss best practices and new opportunities to better serve your customers. The NWSA is sponsoring a boat cruise for conference attendees of the South Harbor terminals on June 12. The AgTC is also coordinating facility tours on Friday June 15 including NWSA terminals. Historically, this meeting has occurred in San Francisco or Long Beach. The event is being held in Tacoma for the first time. It’s also the first time this group chose to hold this event in the Pacific Northwest instead of the Pacific Southwest. 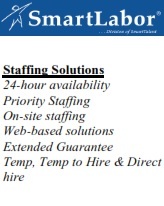 Find out more about AgTC. Click here to register for the conference.